Age Guideline: 14+ Performed in English with Korean subtitles. One of the most mystic figures of art history, Hieronymus Bosch is a Dutch/Netherlandish painter from the 15th century. Although he was from the Middle Ages, he is known to have inspired the surrealist movement in the 20th century with his brilliant expression of an imaginative world of heaven and hell, human desires and failures, which he depicts with his unique usage of color and grotesque style. 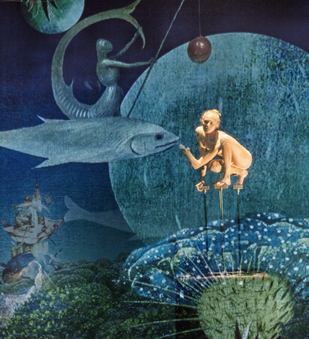 Using three-dimensional video and beautiful acrobatics, <Bosch Dreams> summons his artworks back to vivid life. 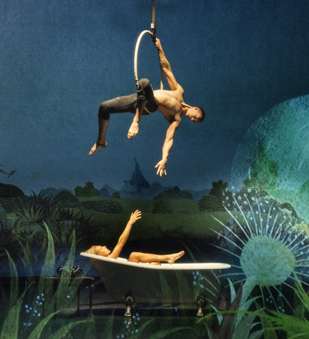 <Bosch Dreams> is a work of magical combination of circus, theater, and animation, co-produced by The 7 Fingers, the successors of the Canadian new circus, and Denmark’s Theatre Republique, who visited Korea with <Hamlet> together with Tiger Lillies in 2016. The work commemorates the 500th anniversary of Bosch’s death. Indulge yourself with the marvelous masterpieces of the greatest painter Bosch and sail across his surreal world full of imagination and creativity.